Is this a Stephen King novel? No, it’s a February 2015 edition of the “60 Minutes" show. Mildly terrified reporter Lesley Stahl was at the wheel of an unidentified car whose controls were hacked wirelessly by DARPA – the Defense Advanced Research Projects Agency – in a demonstration of just how insecure modern “smart cars” are. Automobiles are increasingly computerized and connected to external networks, including the Internet. Dozens of microprocessors control everything from acceleration to braking to tire pressure, locks and the horn. True, smart cars have some features that enhance driver safety. But it turns out they’re not even as well protected against hackers as Windows XP. The Center for Automotive Embedded Systems Security (CAESS), a collaboration between the University of California San Diego and the University of Washington has also found that vehicles are vulnerable to hacking. Researchers there were able to open door locks, disable the brakes, turn off the engine of a moving car, and control other automotive functions. "Today, all the devices that are on the Internet - the 'Internet of Things' - are fundamentally insecure. There is no real security going on," said Dan Kaufman, head of DARPA’s Information Innovation Office, whose team is working on “unhackable software” for small devices including systems found in cars. Naturally, the automakers are not forthcoming about their cars’ shortcomings. The “60 Minutes” piece on CBS mentioned a fact-finding effort spearheaded by U. S. Senator Edward Markey (D-MA). It seems he sent a list of questions about data security and customer privacy to 20 global automakers in December, 2013. For some reason, his office did not publish its report of the answers until the day after the “60 Minutes” expose’ aired, fourteen months later. Should You Wrap Your Car in Tinfoil? There's not much that drivers can do now, aside from being educated and demanding more transparency from auto makers. If you're driving a car that's been on the road for ten or more years, you can laugh at your friends with their shiny new hackable cars. The good news is that currently, there's no widespread threat of car hacking, even though the potential is widely known. That's probably because there's not much financial incentive, so hackers focus where the money is. The only story I've seen that didn't involve government or university security researchers was that of a disgruntled car dealership employee in Texas, who used a web-based system to disable the engines of more than 100 cars, and blast the horns. ALERT: Time to FREAK Out? Most recent comments on "Is Your Car Vulnerable to Hackers?" My previous research indicates that you just find the unit and unscrew the antenna and bam, the entire system is safely disabled. EDITOR'S NOTE: You might eliminate one attack vector that way, but you'd probably also disable your radio, and possibly other systems. Other ways into a vehicle's systems include, but not limited to: mechanic tools, CD players, GPS, Bluetooth and cellular radios, and wireless communications. The information you present here is, indeed, troubling, Bob. As someone looking to buy a new car in the next year--someone who WANTS all the techno-bells and whistles--I'm concerned. But I also believe that simply piling on new rules and regulations may not be the best way to proceed. Democratic Senator Markey, whose report you highlight, seems to think we need a plethora of new rules that will affect conceivable part of society. The correspondents in the CBS interview (follow your link to http://www.markey.senate.gov/news/press-releases/markey-report-reveals-automobile-security-and-privacy-vulnerabilities, then scroll down to the seven-minute interview with Markey) raised some compelling counterpoints, I thought. In essence, they would allow automakers to voluntarily beef up security as a result of public scrutiny. (And you are doing a GREAT job of making at least part of the general public aware of the problem.) Then let the automakers brag about the enhanced security of their computer systems, just as they brag now about their fuel economy or their crash-worthiness. We can be sure the terrorist are advancing their technical knowledge and it has been seen already by their ability to hack into various websites. The more dependent we become on all this new tech that serves no purpose other than to make a few people rich,the more dangers we expose ourselves to. Not that technology is bad but our own stupidity in not knowing what to latch onto and what not, will cost us the most. Personally I will pass on the new Apple watch and pay my bills the old fashion way. Keeping my credit card info in my safe keeping not Google's or any other third parties wallet. Thank the stars, that my 1998 Lincoln Towncar, is too old and not considered a Smart Car. I know that my car is old, but, it is in excellent shape and only has 113700 miles on it. NO, the speedometer was NOT messed with, either. I just happened to get a great car, with extreme low mileage. However, I do know, that using my key bob can be duplicated, by a dishonest person. When you press the button, to open your car, the "code" can be read, with the right equipment. Yes, even knowing this, I will use my key bob, to open my trunk and doors. I am sure, that my car will not be on the sights of any hackers. First of all, it's too old and the newer cars, with ALL the bells and whistles, are highly wanted. Especially, the cars with Internet capabilities. I just wonder, when will hackers due damage to all of the Smart Homes, in the USA??? If the hacker can turn off the engine - then I can assume he can also open doors. Anything from vandalism to kidnapping. What's next? So what is the need to have an internet connection anyway? If its based on being able to stop a criminal in his tracks s to speak the cost versus benefits don't add up if there is a kidnapping etc. The Idea of theft prevention should be physical if this can be hacked. 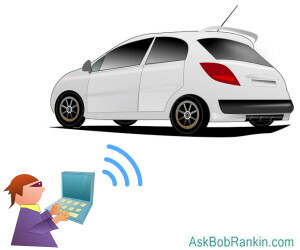 I think of all the RF (radio frequency) saturation where millions of people have phones and Wi Fi now we have millions of cars doing the same? Shame on us. Do yo think this may be one place that Dem and Rep can stop arguing and actuall do something about it. May I be permitted a follow-up to my earlier comments? I just read Senator Markey's letter to an automaker. The questions he asked--and to which he requested a reply in just a few business days--were extremely wide-ranging, and covered multiple years of experience. I would guess it might take a team of several statisticians working full-time for several weeks to compile meaningful and comprehensive answers. Why should an automaker be expected to commit those kinds of resources to what they probably saw as an off-the-wall inquiry from some Senator? Then there's the issue of confidentiality. The senator promised he wouldn't divulge which automakers provided what answers. I can certainly see why the automakers wouldn't want that. Honest answers to the questions Senator Markey raised would be invaluable in the hands of competitors AND in the hands of hackers. If I were an automaker executive and read the words, "Please note that it is not my intent to publicly disclose company-specific security-related information ..." I would laugh out loud and say, "Yeah, right!" It would be like writing to Coca-Cola and saying, "Please tell me your secret formula. I promise I won't tell a-n-y-b-o-d-y!" In my opinion, the senator was lucky the automakers gave him the time of day. That must be frustrating to anyone who wants to make more rules to regulate more industries. I watched that show on 60 Minutes when they aired it on TV. It didn't specify which cars are mostly likely to be at risk. A while back, I heard that Jeeps had a security problem, but no other vehicle on the road. Is there a list online which cars are the most at risk? Seeing there's not much money to be made in hacking a car, one has to worry about kids messing around just for 'kicks'. systems going wonky, as an attorney I see the mother of all ultra-deep pockets liability suits right around the corner! I can't freakin' wait! RichF wrote, "Seeing there's not much money to be made in hacking a car, one has to worry about kids messing around just for 'kicks'." Should we also be worried that terrorist hackers might be able to stall many of the cars on a given freeway at a given time? Or worse, might put the pedal to the metal on many, many cars at once? Or is that just being paranoid? Should we jack up our cars when we park them in the garage, to get the drive wheels off the ground? I'd hate for some guy to remotely start my car, put it in gear, and goose it. That would mess up our guest bedroom. P.S. MmeMoxie, I hope to goodness that's not your Lincoln Towncar in front of my new Honda, when some wack-o jams my gas pedal to the floorboard. I'd hate to hit your "tank" (no offense, please) with my little tin can, if I'm doing 90 mph while you're doing 40. Shucks, it might even dent your bumper. So why doesn't the law enforcement have this technology and be able to stop a getaway car without risking other lives in high-speed car pursuits??? First of all, my Towncar can easily go 120 miles an hour, but, then I would be speeding, right? In all honesty, I know what you really do mean. Prior to this Towncar, I had a 2001 Lincoln Towncar that was totaled in a car accident. A 19 year old, drunk driver, ran a red light and pulled out in front of me, going 55. I was also, going 55 and applied my brakes, swerved my car, as much as I could and I wound up "T-Boning" his Ford 150 truck!!! Bottom line, I was alert throughout the whole accident and afterwards. I only broke my right wrist and hurt my right shoulder and neck. Oh, my big right toe, dislocated during the accident! I was very, very lucky. Towncars are made to drop the engine down and forward, when they hit head on. This is why, I have another Towncar and I must say, I LOVE it. Plus, I am an old lady and want to look the part. LOL!!! The question that nobody seems to be asking is: Why should all (or any) of our "Things" be connected to the internet at all? Have we, perhaps, spent too many years dreaming of all the exciting possibilities suggested by science fiction? Regardless of how much good MAY come of these advances, we have a responsibility, an obligation, to consider to possible damage as well. Just because we can do something doesn't mean we should. @MmeMoxie - My mom, whose 68, has a Towncar (2000) and we love it. One of the most reliable cars we've ever had!